So Mark Zuckerberg thinks that the 300g Oculas Rift will be as light as a pair if sunglasses within a decade? 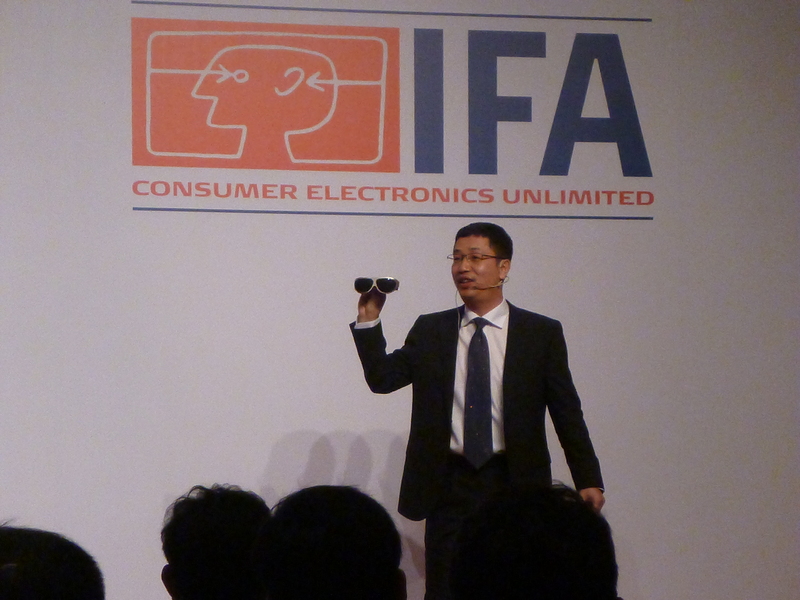 Big deal; Shenzhen company Dlodlo (pronounced ‘Dodo’) this week showed-off at the inaugural CE China exhibition a pair of VR glasses weighing just 78g. VR glasses are bulky and, frankly, no-one is going to wear them until they’re as slim as sunglasses. That was the word coming from the show floor of the CE China exhibition in Shenzhen this week, and TravGear is in total agreement. However, we were told by Dlodlo that the sunglasses version weren’t ready yet … hmmm. The Shenzhen-based company showed-off a prototype of its Dlodlo Glass V1, a VR headset that gives a resolution of 2560 x 1024 pixels and includes a nine-axis accelerometer. One problem; they do come with a separate ‘B-Box’, which contains a 64-core GPU, 4GB RAM and 32 GB internal storage, and a 5,000mAh battery. However, the Dlodlo Glass V1 – which runs a custom version of Android 5.0 Lollipo – can be directly connected to both a PC and a smartphone. ← Should we be booking holidays from our TVs by now?